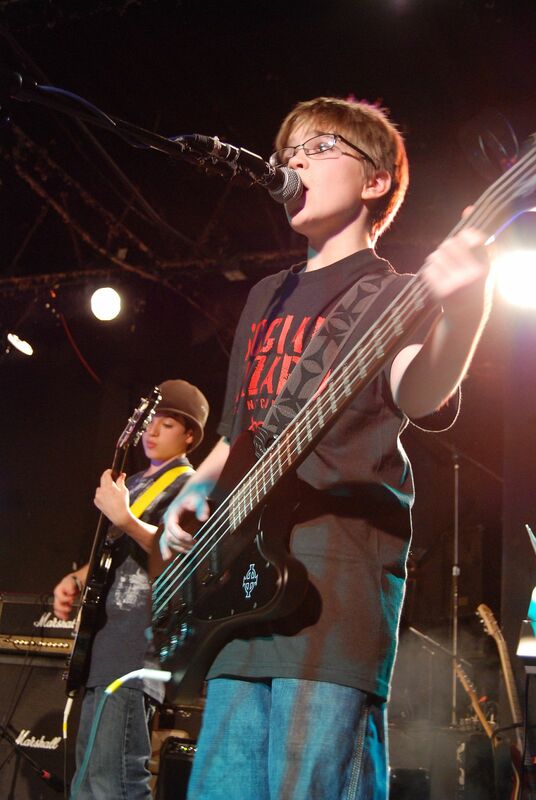 Bass guitar lessons teach students the know-how of what it takes to be an accomplished bass player. Bass guitar lessons are simple and effective with the the purpose of playing in a band. We work through the basics of technique and reading while doing a whole lot of playing. Reading tab and eventually notation is a value for advanced musicians. We focus on the music that inspires the student first then explore other genres and styles. Mastering each style such as blues, rock, jazz and pop is important and we visit each style through specific artists. Bass players are highly valued in the band and not as popular as the guitar or drums but quicker to learn to play in a band. We always need more bass players, they are the supporting cast and key member to each band. Students can also play in our group classes called our Student Bands. Performing as a group is an important part of the accountability process as well as just having a blast. In the past, the was a “no pain, no gain” philosophy regarding bass guitar technique. But thanks to physical medicine and the study of ergonomics that philosophy is no longer valid with bass guitar technique. Creative Soul instructors have been trained to use a contemporary technique that facilitates good development while playing all styles of music.